The FBI recently concluded a two-year investigation of five Baltimore City public works employees, and now two face bribery charges in the United States District Court. The other three face theft and conspiracy charges, which are charged under a similar federal law. Cell phone wiretaps ultimately led to a raid in which federal authorities confiscated physical evidence to aid U.S. attorneys in proving their case against the five. One of the male defendants has been charged with conspiracy to solicit bribes concerning a program receiving federal funds and the only female defendant has been charged with the same, plus an additional count of bribery. The other three males are charged with conspiracy to steal from a program receiving federal funds and with theft. The two employees facing bribery charges had been working at a city landfill. They are accused of agreeing to accept money in exchange for allowing patrons to dump their trash for free, provided the patrons kicked the employees a little bit of cash. Most of these patrons were commercial haulers who normally would have paid significant fees to dump their large loads of garbage from trucks, but in the instances in question the fees were not paid at the expense of the city. According to the charges the feds have evidence that the female employee actually accepted a bribe, while the evidence on the male is that he merely conspired to do so. Regardless, the maximum penalty of 10 years in prison is the same each of these charges. The three employees charged with theft are accused of stealing scrap metal from the dump and selling it to private scrapyards. The city typically sells its scrap metal to generate revenue, and the three alleged thieves wrongly assumed that the landfill could not keep tabs of all this valuable scrap. Scrap metal theft has become a common crime over the last decade; so much so that larger law enforcement agencies like the Baltimore County Police have created special scrap metal theft units to deal with the challenges that these cases present. 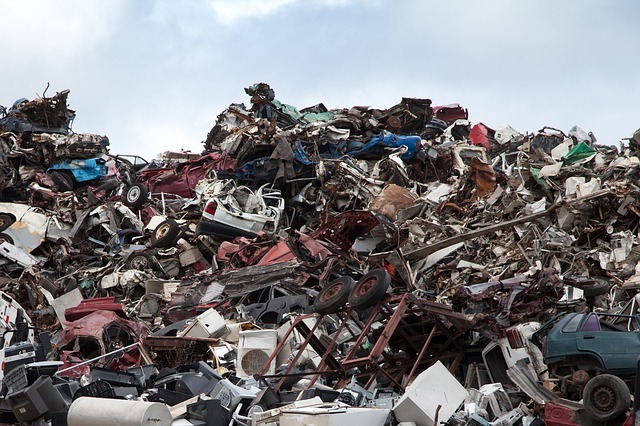 Like cash, scrap metal is for the most part fungible, which makes it hard to trace. A few pounds of stolen copper look the same as a few pounds of copper from a legitimate source. And at around 3 dollars per pound it doesn’t take much of this metal to pay out a nice chunk of change. Aluminum and steel are far cheaper, but a ton of any type of structurally sound metal sells for enough cash to tempt would be thieves like the city employees currently facing criminal charges. Bribery and theft are illegal under both state and federal law, but this particular case is solely being prosecuted by the feds. Federal authorities often get involved in cases of public corruption, and in more complex financial crimes such as bribery and fraud. Each of the public works employees are charged under a specific law governing those working for programs that receive federal funding. The city landfill likely receives funding from the feds for green programs such as recycling, so when the employees stole from the city they were also stealing from the federal government. No doubt the defendants were surprised to learn that it was the FBI and not the Baltimore Police that was investigating them. But those with an understanding of federal statute 18 USC 666 should not be the least bit surprised. United States Attorneys have prosecuted thousands of public officials under this law, including many high profile cases against powerful politicians. The government has an extremely high rate of conviction under this statute, and will continue to use 18 USC 666 to protect the millions it provides to state and local programs. The Blog will track the progress of these cases as they move through the stages of prosecution, and we’ll post a follow up if necessary. Benjamin Herbst is a Maryland federal criminal defense attorney who handles all charges including bribery and theft. Contact Benjamin for a free consultation about your case at 410-207-2598. Baltimore landfill workers accused of theft, taking bribes, wbal.com.